Our high performance team is the key to our success. Our well-travelled and often multi-lingual people are carefully selected for their experience, service style and attitude – and for their ability to empathise with customers facing difficult or life threatening situations. Our highly-skilled service team operates around the clock at our secure purpose-built operations centre in North Sydney. We are fully staffed 24 hours a day, and have a registered nurse and team leader on every shift. Our nurses hold a variety of qualifications – from intensive care, critical care and accident and emergency nursing, to midwifery, surgical and flight/aviation nursing. Their skills are complemented by our dedicated Medical Director, Medical Consultant Specialists and Management Team. 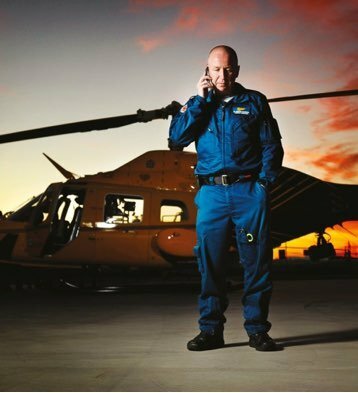 Our doctors and specialist medical consultants have expertise in aviation and emergency medicine – and they remain active in the Australian Health System. Working in intensive care facilities in teaching hospitals around Australia, and dealing with major medical traumas every day, gives them the expertise to make remote decisions about patient care. The result? A team of highly-skilled medical professionals providing 24-hour assistance advice for your emergencies. Our Registered Nurses manage medical cases 24 hours a day, and have extensive experience in planning and coordinating aero-medical transport. They are experts in medical retrievals, regularly managing the transportation of patients with conditions ranging from fractured limbs, to critical illness requiring life support.